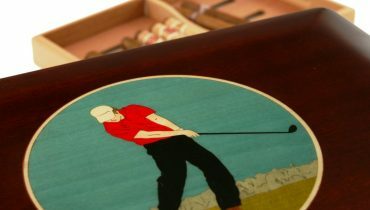 The handcrafted Boketto humidor is the best cigar humidor! Most superior both in its construction and design. 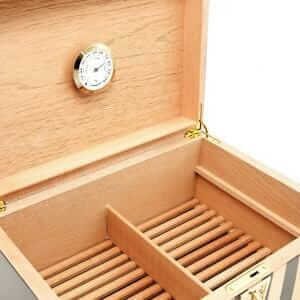 It is not only the natural Canadian Maple laser cut marquetry design on the outside that is so attention-grabbing, likewise its every aspect of this airtight humidor that appeals. 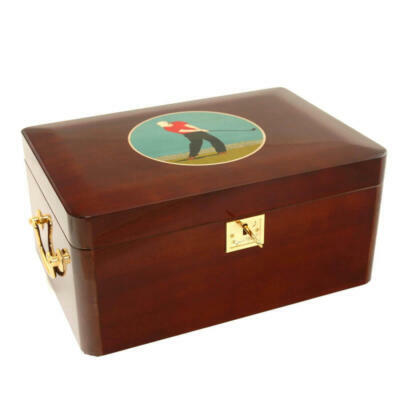 This humidor is one of our latest to be added to our Limited Edition line up of cigar humidors. Besides that, check out the optical illusion made from wood! 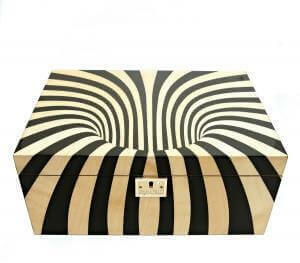 The Boketto humidor will have you mesmerized. 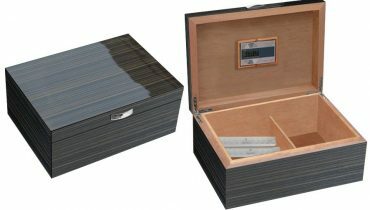 The top and front of this humidor create the outstanding optical illusion. As a result the back and both sides have been dyed black to compliment the contrast in the top and front. 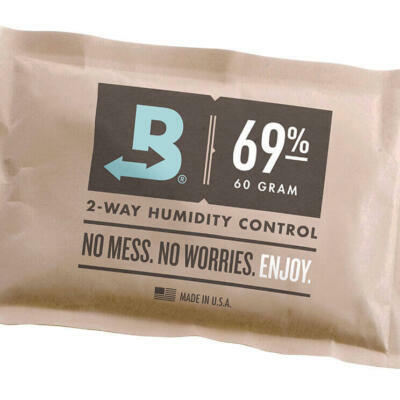 ● Spanish cedar being absorbent, prevents moisture from building up inside the box, thereby keeping the cigars dry. 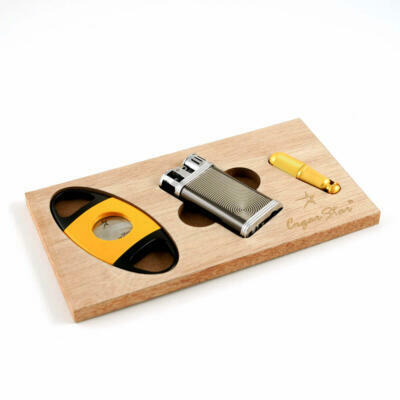 ● The wood provides the right environment to keep the cigars fresh and flavorful. 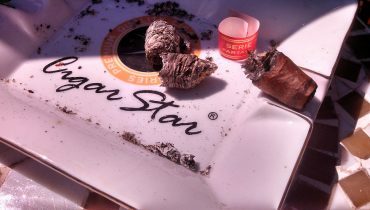 ● The strong smell actually imparts a woody flavor to the cigars, enjoyed by many. 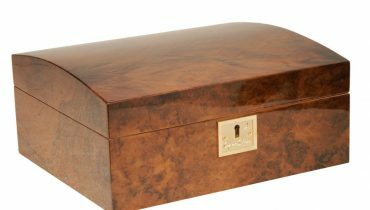 Finally if your looking to stand out with your cigar storage, this unique luxury handcrafted work of art will store your cigars perfectly. 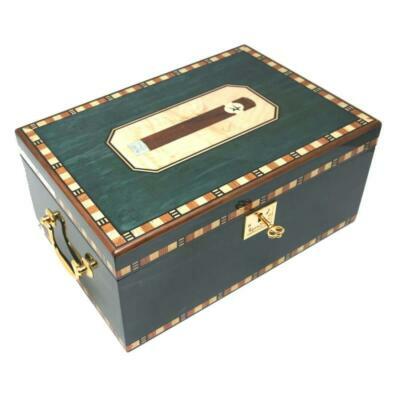 Furthermore this Boketto cigar humidor will bring about exciting conversation when presented. Made from natural Maple laser cut hand inlay marquetry design. Optical illusion made from wood. High gloss mirror and multiple lacquer finish. 1 Spanish cedar removable tray. Solid Spanish cedar airflow grate on bottom. 2 removable Spanish cedar dividers. 1 large easy-read hygrometer placed underneath the lid. Lock and key. 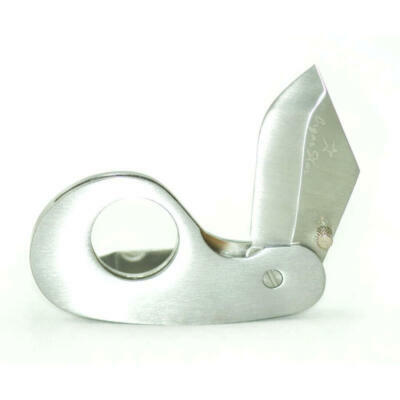 To keep your cigars safe. 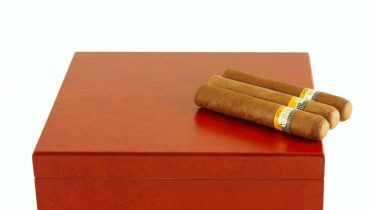 Can accommodate up to 100-120 cigars. Easter Sunday! Oh what a wonderful day!